No matter how good of a teacher or parent you are, you will still have kids that struggle to recognize their letters. 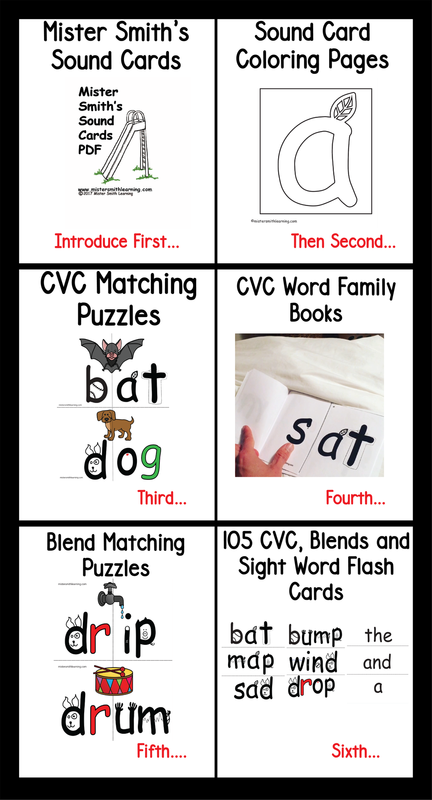 Mister Smith has created a simple and effective flashcard program that will quickly help you teach your kids their letters. No training necessary. Letter and image on the front. How to teach is written in easy to understand language on the back. Start with the "easy" letters first to build your child's confidence and move onto "medium" and "more difficult" letters. The order in which the letters are introduced so that the student feels successful and motivated to continue to learn. This is an example of how one might introduce the Letter Recognition Program. This is how you might introduce the Sound Cards and early reading activities.